Last month, in the Senate Banking Committee, we passed my bipartisan legislation to give our country more tools to respond to foreign investments from countries like China that could pose a threat to our national security. The Committee on Foreign Investment in the United States, also known as CFIUS, is responsible for screening foreign investments for national security threats, and blocks investments that undermine our national security. But as countries like China have adopted new tactics to acquire our critical technology and know-how, the laws that give CFIUS its authority haven’t kept up. That’s why I introduced this bipartisan bill, to ensure CFIUS has the tools it needs to tackle today’s threats. No country has been more aggressive than China in going after American technology in sectors like aviation, robotics, new energy vehicles, and others where the U.S. has established ourselves as a global leader. In three years — from 2013 to 2015 — the number of Chinese acquisitions coming under CFIUS review jumped 38 percent. And China is getting sneakier, finding ways to get around the rules to avoid review all together. Chinese companies structure deals so they can gain access to sensitive technology and information without triggering a CFIUS review. For example, if a Chinese investor wanted to buy a controlling stake in an American company, CFIUS would review that deal and have the chance to block it. But if Chinese investors instead got seats on that company’s board, they could still have access to the same sensitive technology without triggering a CFIUS review. Similarly, some foreign investors might enter into a joint venture with an American company, again giving them access to all of the technology, data, and know-how, without CFIUS approval. While that American business may not particularly like joining up with this Chinese company, the Chinese government will coerce them into the joint venture as a condition for continued access to the Chinese market. My bipartisan bill will make these tactics more difficult by strengthening the review process and enforcement, particularly when it comes to critical technology and investments from state-owned enterprises. I’m hopeful we’ll get this legislation signed into law this year. However, this is just a first step. CFIUS was only created to deal with national security threats. Right now, we have no way to evaluate deals that may pose a threat to our economy. That is why I’m calling on Congress to pass my bipartisan bill with Republican Sen. Chuck Grassley to empower the Department of Commerce to begin screening foreign investments for their long-term economic impact and consequences for American workers and American businesses. It’s simple. Before we do business with a foreign entity, let’s make sure it will create jobs and grow the U.S. economy, not undermine our national security or American industries. 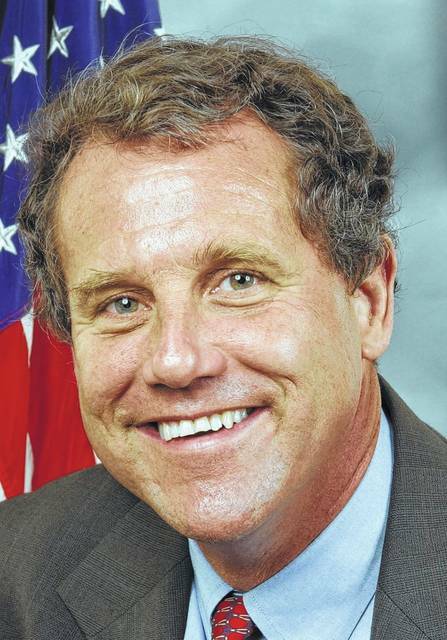 Sherrod Brown is a U.S. Senator, representing Ohio. You may contact him at his office in Cleveland, 801 W. Superior Ave., Suite 1400, Cleveland, OH 44113. You may call his office at 216-522-7272 or 1-888-896-6446.